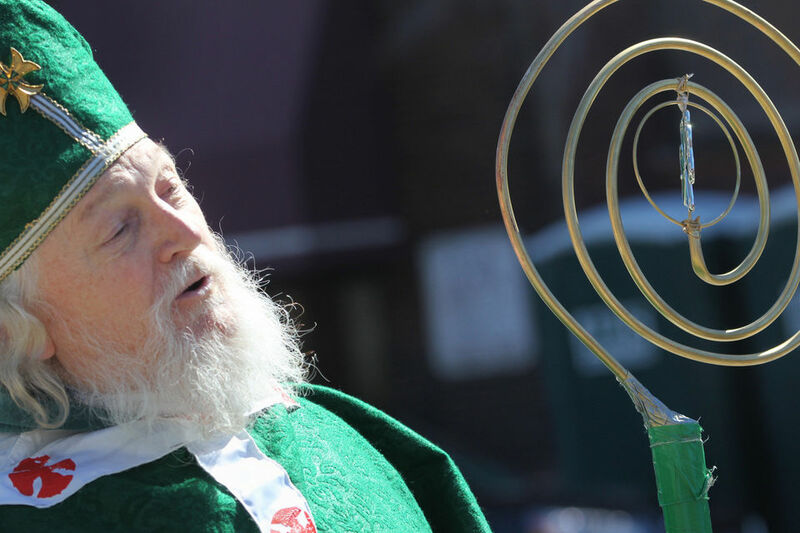 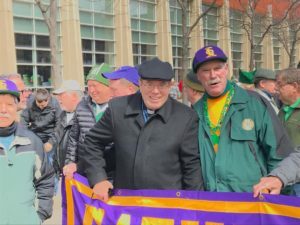 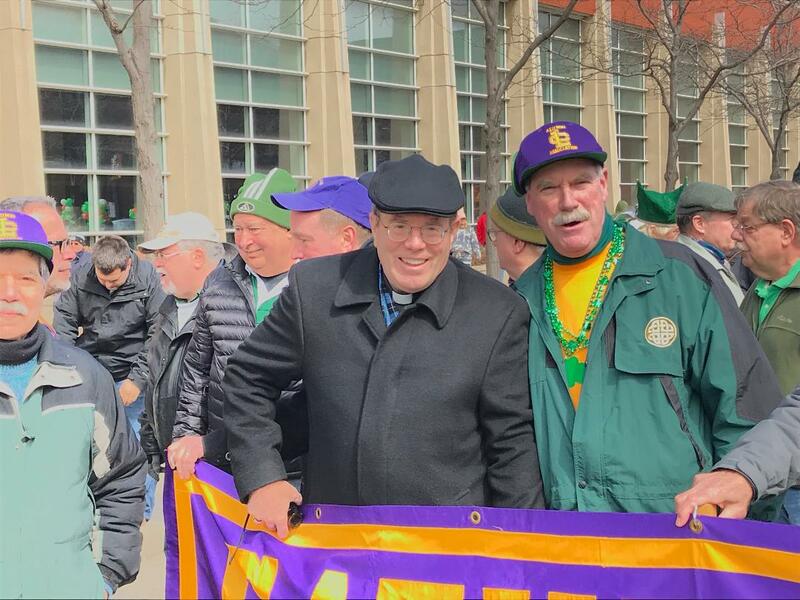 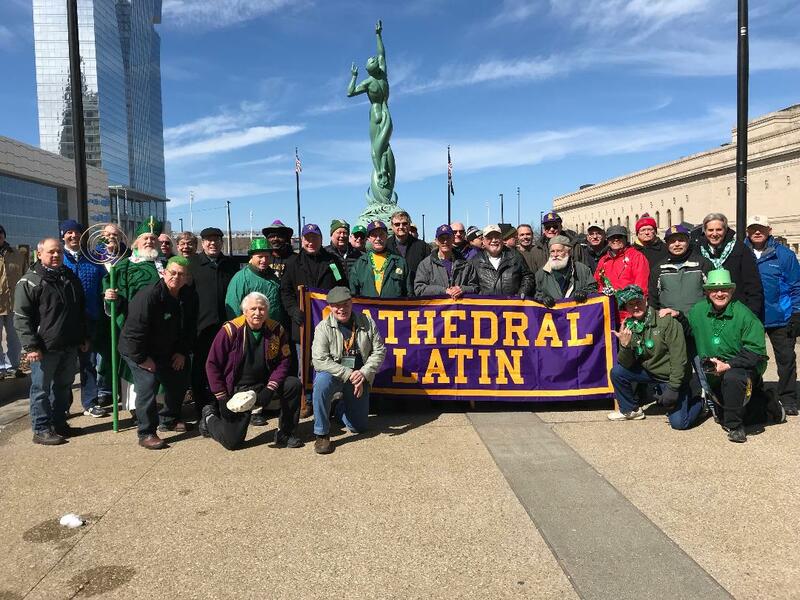 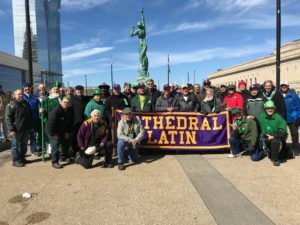 2018 St. Pat’s Day – A Big Hit! 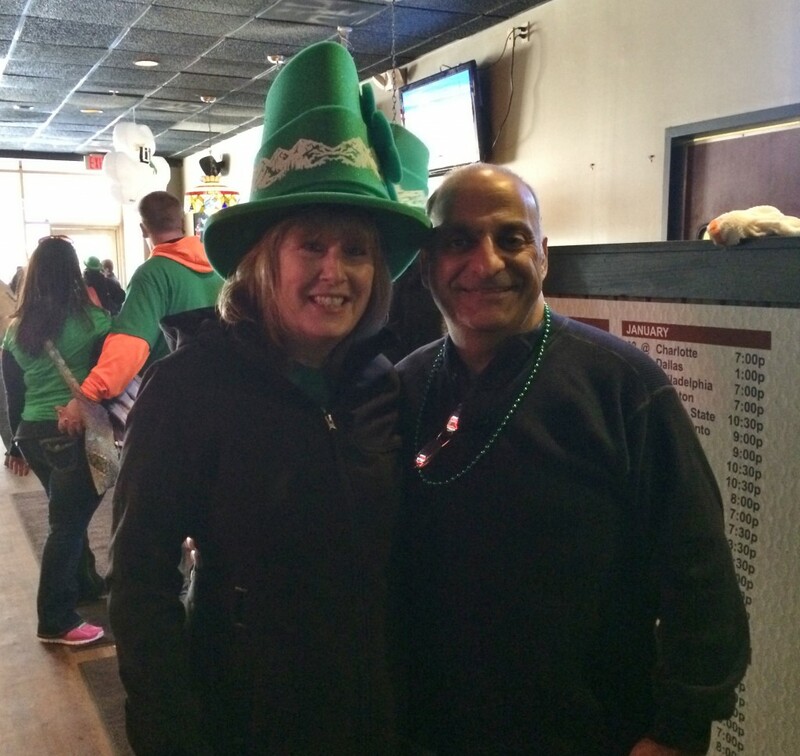 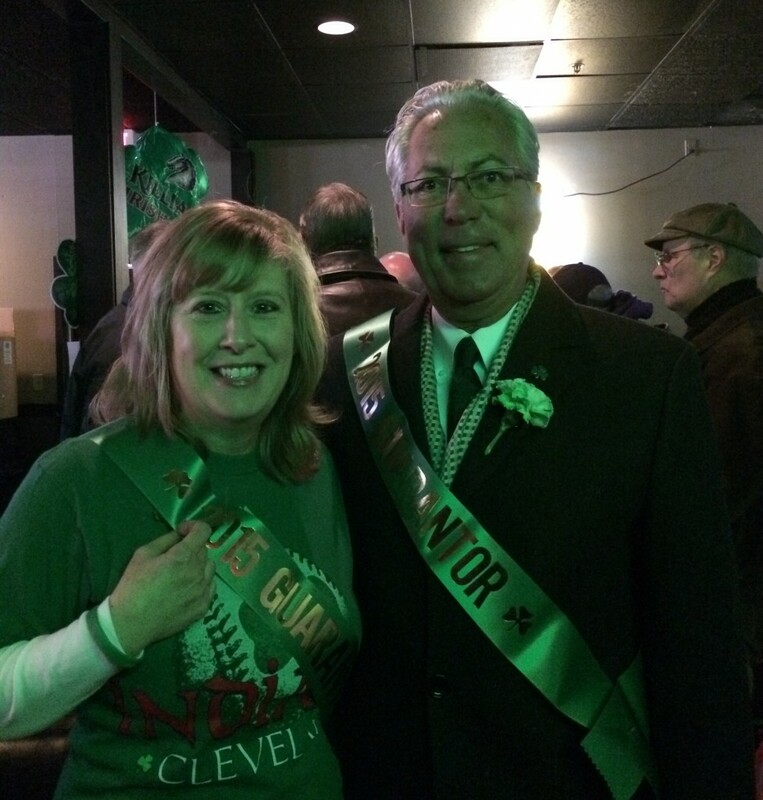 The Alumni Association hosted a St. Patrick’s Day party on Saturday, March 17. 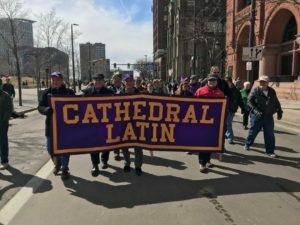 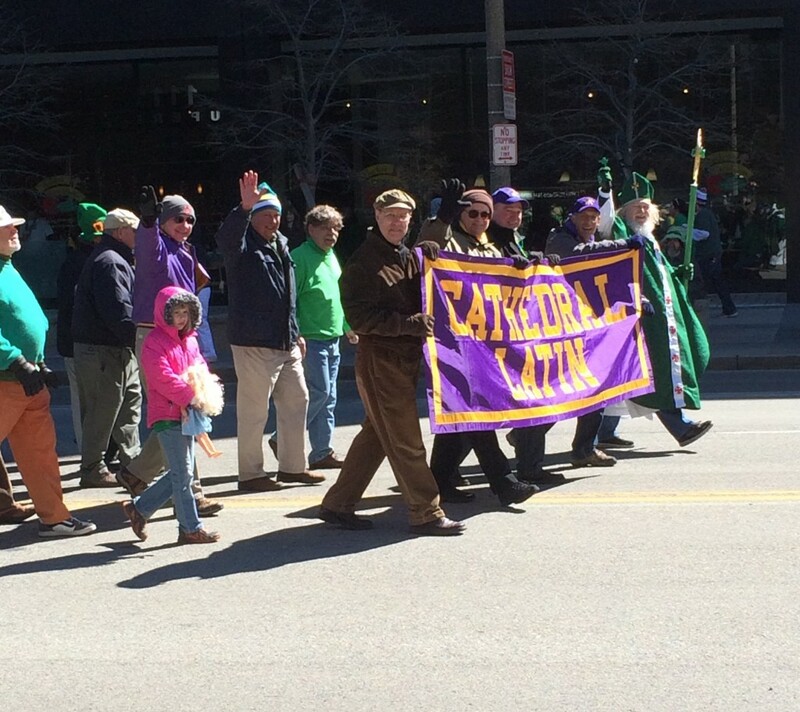 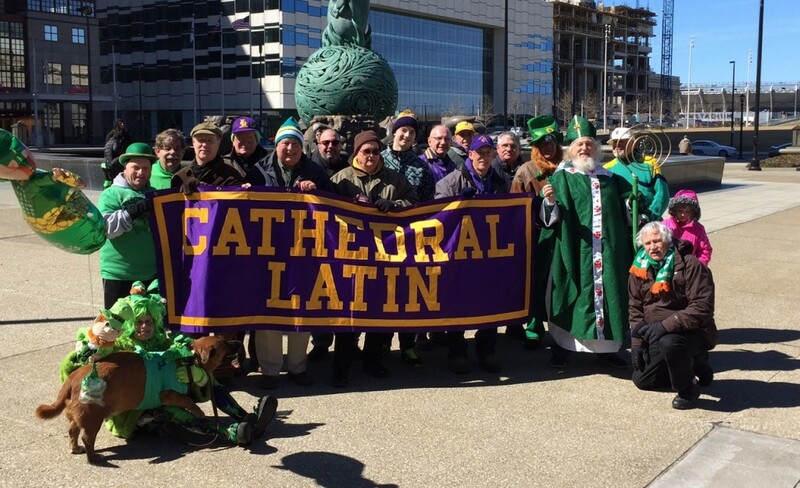 Alums, family and friends marched in the parade and then headed over to the Kimpton Schofield Hotel, 2000 East 9th Street, for lunch and music. 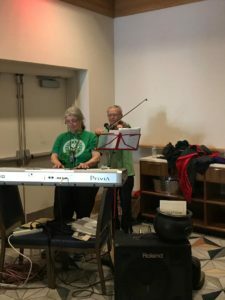 Corned beef, cabbage, rye bread and red skin potatoes was served to the over 100 guests. 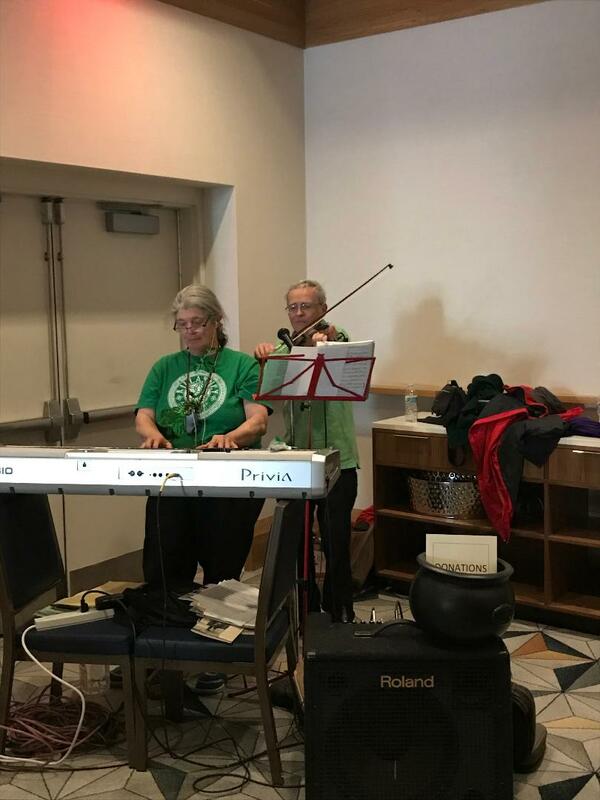 John Nowel ’71, an accomplished musician, and his wife played Irish music at the reception. 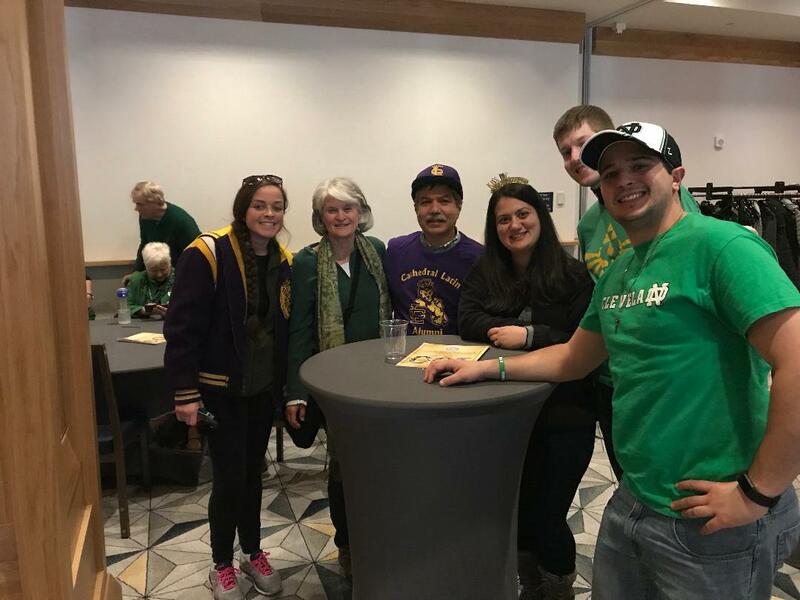 Each alum was given a purple t-shirt as a gift from the alumni association. 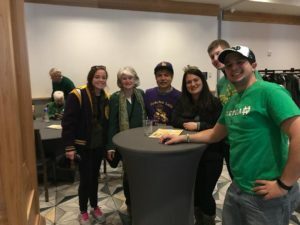 Everyone who attended had a wonderful time.